Are you trying to find optimal Karate Classes in Kingwood TX and you don’t know where to go? 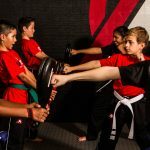 Maybe you’re looking for a martial arts studio that can provide your family with the right resources and programs you need to make the most out of your physical and mental faculties. If you’re trying to make sure you master karate and you’d like to find a dojo that can help, we’re here for you. 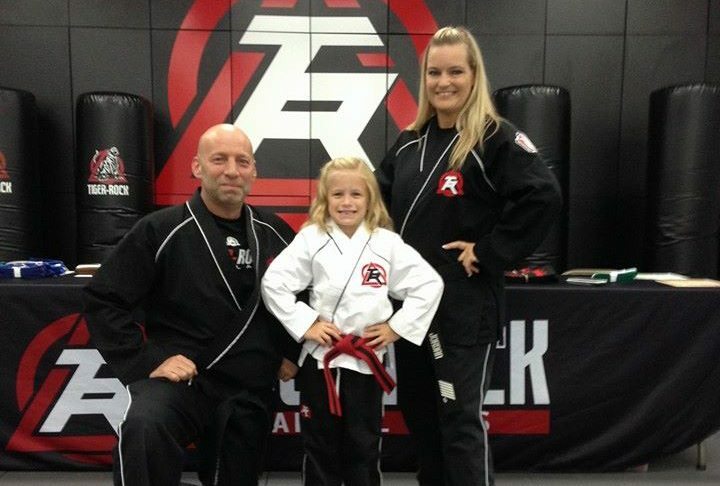 Tiger-Rock Martial Arts in Kingwood TX is a place that will help you improve your mind, body, and soul. TRMA started back in 1983, and we have been steadily growing ever since our founding. We have well over 100 locations in the nation, and we are continuing to make ourselves known to the world. Our studio is the most popular and successful martial arts franchise, and we’re ready to help you get the most out of your body and mind. Whether you’re a child, teenager, or adult, you’ll be able to count on our certified instructors. Each and every location has a complete staff who has mastered our form of Korean Taekwondo. If you’re trying to learn this for yourself, visit our dojo today for the best Karate Classes in Kingwood TX. Like most people, you’re probably trying to improve your physical stature. Are you beginning to feel like you don’t have the right body, and you’re beginning to see some regression? Perhaps your strength isn’t where it needs to be and you’re having problems completing daily tasks. This is something that we all go through, but it’s important to get better before it’s too late. We understand that it’s not always easy to do this, but our instructors can help. Physical fitness is a big part of making sure you’re properly equipped to handle martial arts. The drills that we provide our students with will promote strength and conditioning. We put each and every student through a rigorous program that involves high-intensity striking and kicking. While these might seem cookie-cutter at first glance, this could not be farther from the reality of our classes. You’ll be able to increase your upper and lower body strength, and your endurance will also increase. You’re going to need a high level of energy to make it through these types of courses, but as long as you stay committed, we’ll push you past your limits. Flexibility is another big part of making sure you’re equipped for Karate Classes in Kingwood TX. Are you beginning to feel like you’re becoming a lot stiffer than you used to be? Perhaps you’re trying to get the most out of your physical capabilities and you need to find a dojo that can promote your conditioning. If you commit yourself to our program, you’ll most definitely see an increase in your range of motion. This is a very important aspect of mastering martial arts, and we’ll make sure you become more flexible over time. Even though you’re probably preparing yourself for the physical parts of martial arts, making sure you’re mentally ready is just as important. Are you beginning to feel like your mind isn’t tough enough? Maybe you’re having some problems at work and you don’t think you have what it takes to overcome these mental blocks. If you’re feeling like your focus and judgment have regressed, it’s important to get the most out of your potential. Our instructors have the experience you need to stay disciplined and focused during your time here. We provide you with an atmosphere that’s friendly and encouraging but expect to be pushed. Our goal is to make sure our students reach their full potential, and our role is to push you to be greater than the sum of your parts. This is an incredibly important part of life, and you’re going to need assistance if you feel like your mind is slipping. Our experts are here to keep you on track. Self-defense is another aspect of our programs. Are you trying to make sure you’re completely capable of protecting yourself in case an assailant approaches you when you least expect it? This is something that nobody can plan for, and having the capacity to properly defend yourself is an invaluable skill. Make sure you have the right classes on your side by contacting our dojo and learning more about our programs. Our instructors are ready to help you improve your abilities and learn how to handle troubling situations. Our professionals provide you with real-life combat simulation that will help you learn how to handle these types of encounters. You never know when an unarmed or armed attacker will approach you with bad intentions. If this happens, you won’t have time to call for help or contact law enforcement. Because of this, you have to make sure you know how to defend you and your loved ones. Our certified instructors have hands-on training sessions that will make sure you have experience with these types of situations. Finding Karate Classes in Kingwood TX doesn’t have to be the tough conundrum that you probably see it as right now. 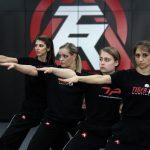 If you’re trying to get the most out of martial arts and karate, we highly suggest visiting a dojo like Tiger-Rock Martial Arts. We’re ready to provide you with the structure and guidance you need to get the most out of your mental and physical capabilities. For more information and details on our programs, reach out to us today and schedule your introductory courses. We provide you with three initial classes as well as a performance evaluation in addition to a complimentary uniform! Kingwood is a very popular region of Houston. While most of it can easily be spotted in Harris County, it also overlaps into Montgomery. Are you someone who really appreciates nature and wildlife? If so, Kingwood is definitely a place that you’ll be able to live in. We have nearly a hundred miles of trail for you to enjoy, and you will always be immersed in beautiful, organic nature.